Biohacker = I manipulate my biology and bend nature to my will in order to optimize my mental and physical performance. 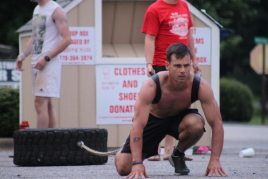 In addition to being a biohacker, I’m also a strength coach, nutritionist, former warehouse-style gym-owner at House Of Strength, and I’m a graduate of the very first SEALFIT 20X challenge. 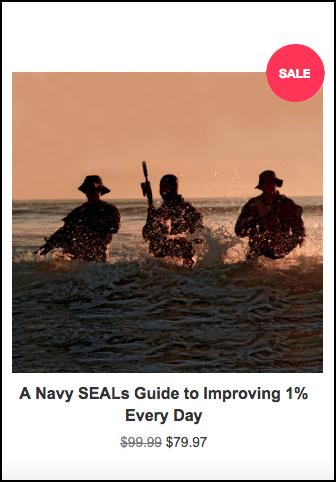 When I think of think Navy SEALs, I think “unbreakable mind”. 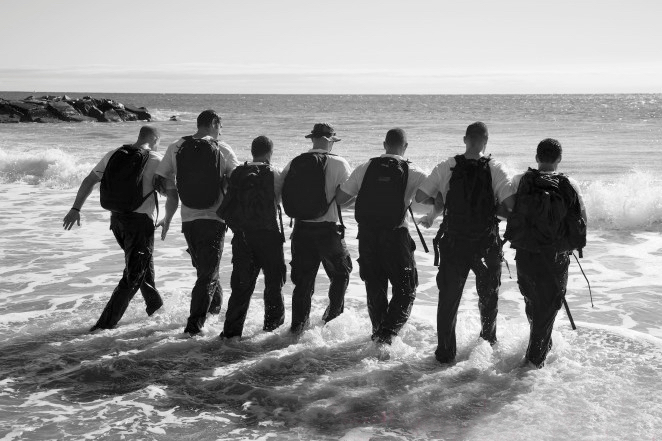 No matter what our pursuit may be, mental ability, agility and resiliency are paramount to our success. It’s likely that’s one of the things that brings you to SEALgrinderPT. Today, I’m going to share with you 5 tips to help you optimize your brain – so you can develop your unbeatable mind and get more out of your training, your business, or your life. These days, it seems to be a badge of honor to brag about how little sleep “hustlers” can get away with. When we sleep, our brains dump toxins that accumulate throughout the days as by-products of normal metabolic processes. Without adequate sleep, we never dump those toxins – this is why your brain functions like a box of tangled coat-hangers when you’re sleep deprived. Sleep is also when the catalogs new information and memories from the previous day. During sleep our brain’s pituitary gland (the gland that controls our entire endocrine system) releases hormones like testosterone and growth hormone that promote recovery, repair, and enhance physical performance as well as motivation, drive and vitality. 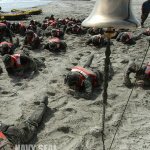 Fatigue masks fitness and makes cowards of us all. When we’re mentally tired, we’re more susceptible to cravings, mood swings, fears, and bad decisions. None of these are conducive an unbeatable mind. If you’ve seen the movie Limitless, you’ve seen nootropics and how they literally transform the world from black and white to color TV. In the real world, however, we prefer natural mental performance enhancers like CILTEP that gently increases focus and potentiate long-term memory storage without the side-effects of the fictitious Limitless pill. Cognitive enhancement and protection against age-related brain decline is the fastest growing niche in the health and supplement domain. Currently we’re helping everyone from rocket scientists and Olympic Athletes, to Hollywood movie stars and business executives increase their focus and output with our all-natural cognitive enhancer CILTEP. The chemicals in our brain form our personalities, our traits, desires, motivations and more. Each of us has a unique chemical makeup and it is this neurochemical environment that is responsible for who we are as an individual. In short, there are four neurotransmitters that are responsible for balancing our brain. The test has helped me learn A LOT about my brain and why I am the way that I am – and it has done the same for dozens of my coaching clients as well as millions of Dr. Braverman’s readers. At the very least, I urge you to discover your nature so that you can then get in harmony with it. 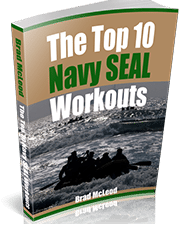 One thing we’ve all learned from Navy SEALs is that the brain will quit long before your body. You’re capable of far more than you first believe. That is the entire point of 20X challenge! But to give yourself the best chance to experience the power of this transformative process, you need to fuel your brain properly for the best chance for success – and that means being fat adapted. Marathoner’s bonk: They hit the wall. In all likelihood, you’ve experienced this sensation as well. Yet somehow, if we can find our WHY, muster up heart…whatever euphemism you like…we always have the physical ability to dig deep and finish. By training your body to be fat-adapted (low carb, high-fat diet) you can create metabolic flexibility so that your brain and body learn to be self sufficient – able to target endogenous (stored) body fat for fuel rather than constantly relying on that next Goo or Gel pack of sugar to cover the next 20 minutes of exertion. The fueling strategy: To become more fat adapted and metabolically flexible, your default diet should be low-moderate carb intake (50-150g per day depending on size & gender), moderate protein and high fat. The Paleo, Primal, or Bulletproof Diets are all good templates. Following this as a daily plan for 3-6 months will help you flip the switch, but realize that the longer you do it, the more efficient you’ll become and the more benefits you will reap. We can still take advantage of glycogen and glucose for power output and performance by having carbohydrates the night before a 20X Challenges or any physical event larger than a normal training session. But, on the day of, avoid carbs, keep insulin low and fuel with fats so you brain and body don’t bonk at the worst possible time. You’re either growing or dying. Look at nature, flowers blossom to a peak then die. Male lions grow, mature and strive to become the dominant leader of the herd. But once that pack leader stops being the #1 ALPHA, he is defeated and sent off to die alone. This may sound primal, and it may be hard for some to accept – but the day you stop growing is the day you start dying. Push your limits, conquering new territory and bring MORE things into your circle of competency (comfort zone). When we understand things or have a basic level of competency with them, they’re less demanding, induce less stress and we can knock them out quicker and move on to the next task. Think about learning a new skill…learning to shoot a new weapon or mastering muscle-ups. When this skill is outside of your comfort zone, it is a stress and possibly a hinderance to your overall mission. The more we master, the more we can accomplish. Watch less TV, read more books, master more skills. This is why the most successful people in the world – business leaders, Navy SEALs, or champion athletes are always focused on constantly sharpening the knife. Never stop growing. Better never stops! Implement these strategies into your daily life and you will enjoy the benefits of a clearer, sharper, more focused, and more resilient mind that helps you conquer anything life can throw at you. Ryan Munsey is a mental and physical performance specialist who has held the titles of fitness model, gym owner at House Of Strength, and freelance fitness writer with a Nutrition degree from Clemson university. He now runs the Optimal Performance Podcast and is the Chief Optimizer at Natural Stacks – an all natural, open-source supplement company trying to change the supplement industry. Go to for more on the Optimal Performance Podcast, blog and Natural Stacks Products.